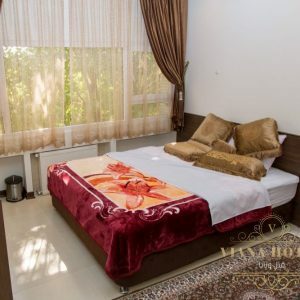 Viana Hotel Isfahan has a past record of service near to five decades to the passengers and travelers who selected Isfahan as their visiting destination and has played its role in tourism successfully base on its capacity during these years. The general manager and staff attempt to be helpful and do their best in preparing a pleasant place and atmosphere that you would feel yourself at home in Isfahan. The hotel has an easy access to the express way that is led to Isfahan airport and the bus terminals and to the historical monuments and sightseeings .